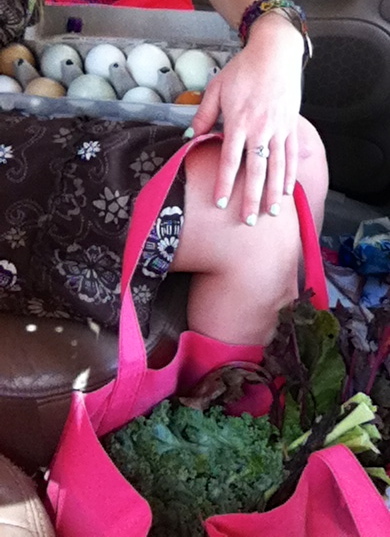 Yesterday, I did one of my favorite things: I ventured to the local Farmer’s Market! 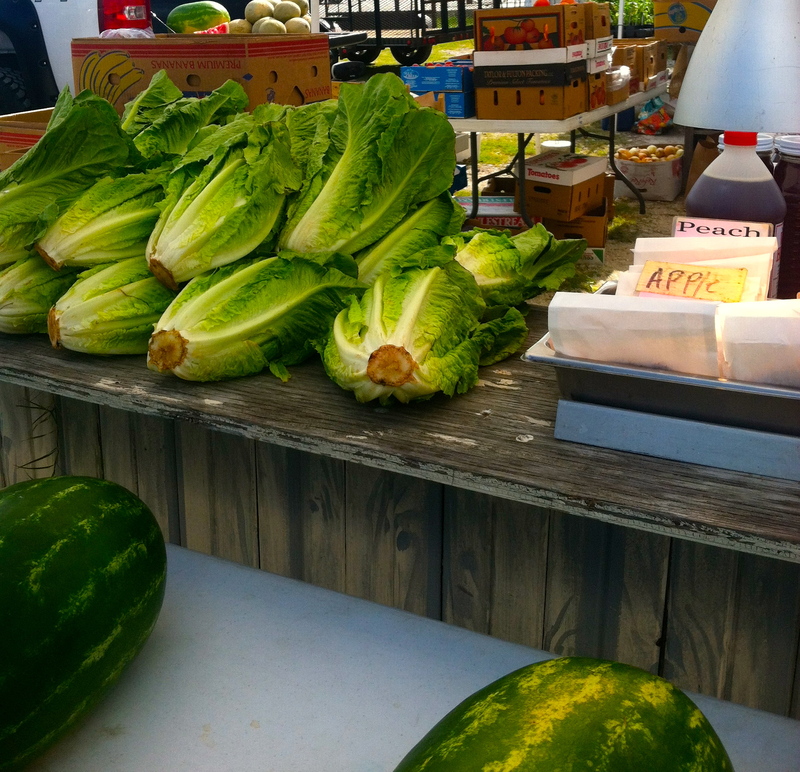 Like I said before, I love going grocery shopping, and a farmer’s market is just like outdoor grocery shoppin—full of fresh and local treasures! Back in Fort Collins, I went to the Farmer’s Market every Saturday to stock up on my fresh fruits and veggies for the week until they moved indoors for the winter. During the winter, they periodically held indoor markets that I scribbled down on my calendar so I would not miss the few that they had! 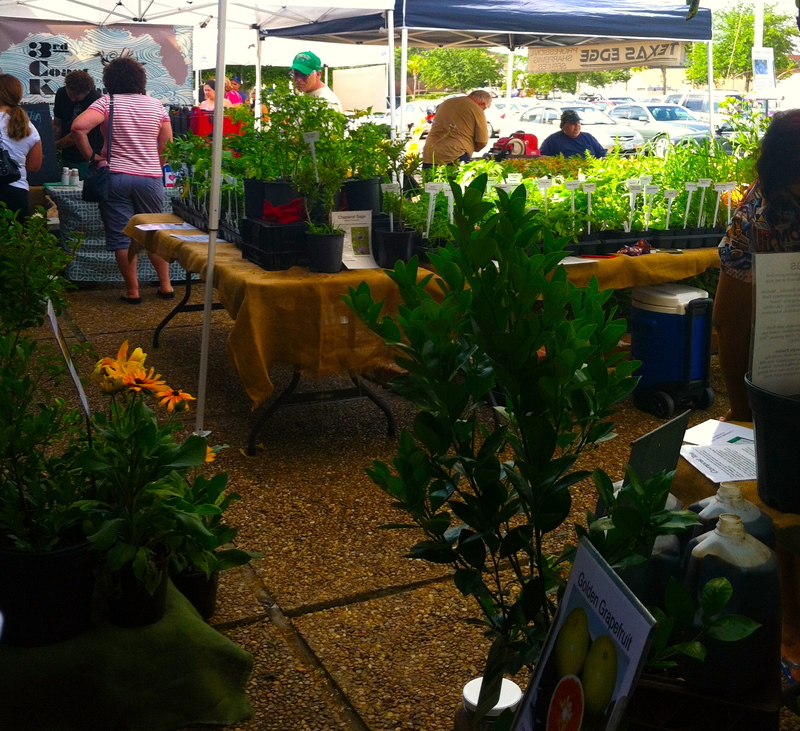 Here in Clear Lake, surprisingly, farmer’s markets are quite popular as well. I say surprisingly because it is just so hot and humid here, that it seems it would be difficult to grow top quality produce that can withstand the heat. With that being said, I found that the variety of produce was limited compared with my farmer’s market in Fort Collins, but nonetheless, I was mildly impressed. 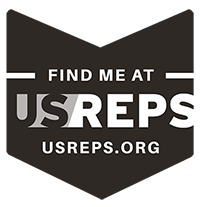 I checked out two different markets yesterday. The second one, though, was my favorite. It was under more shade for starters and included more produce stands. 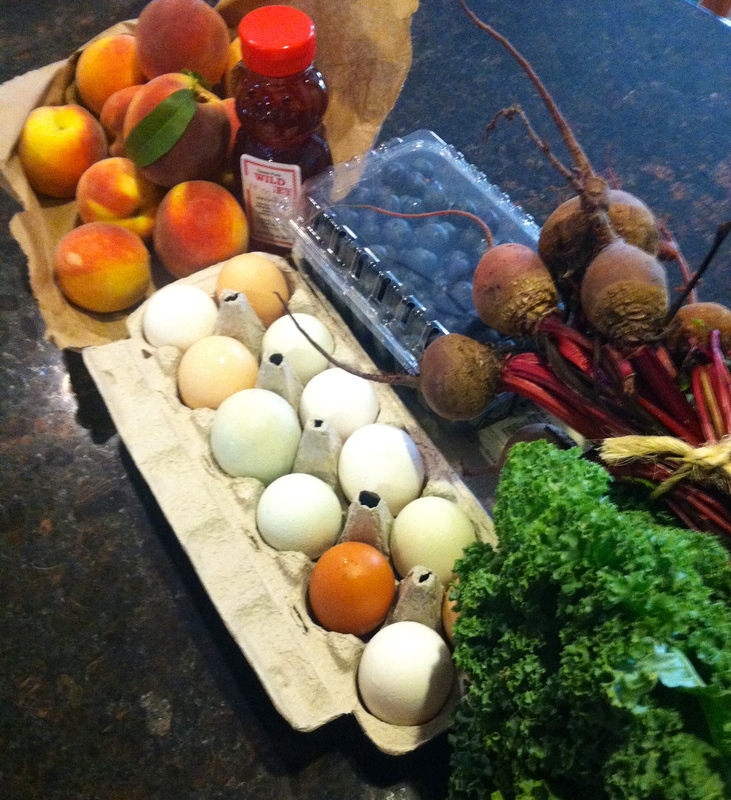 At the first one, I scored some local wild honey, organic blueberries, and a basket of peaches. 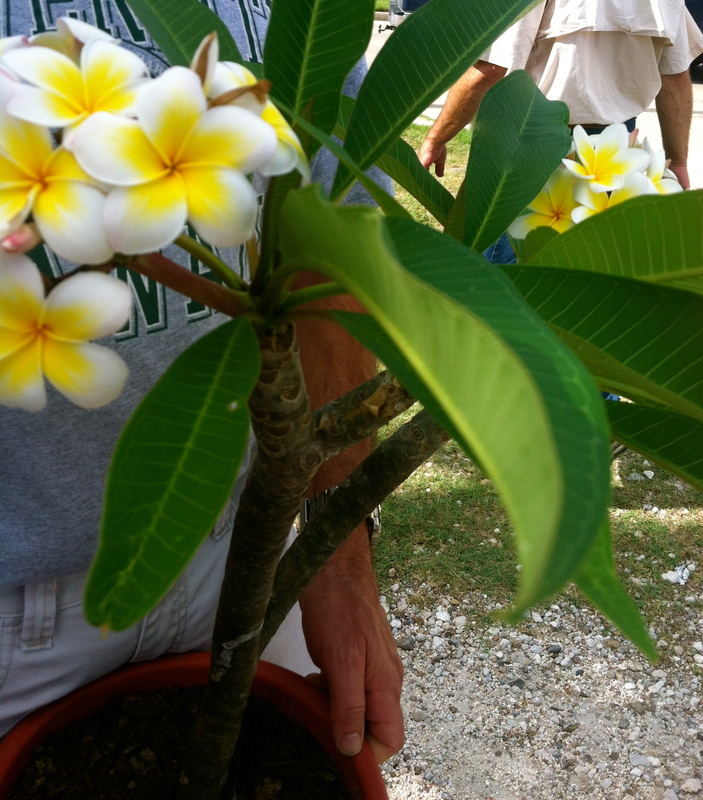 Something different that my mom found at the first market was a Plumeria vender. 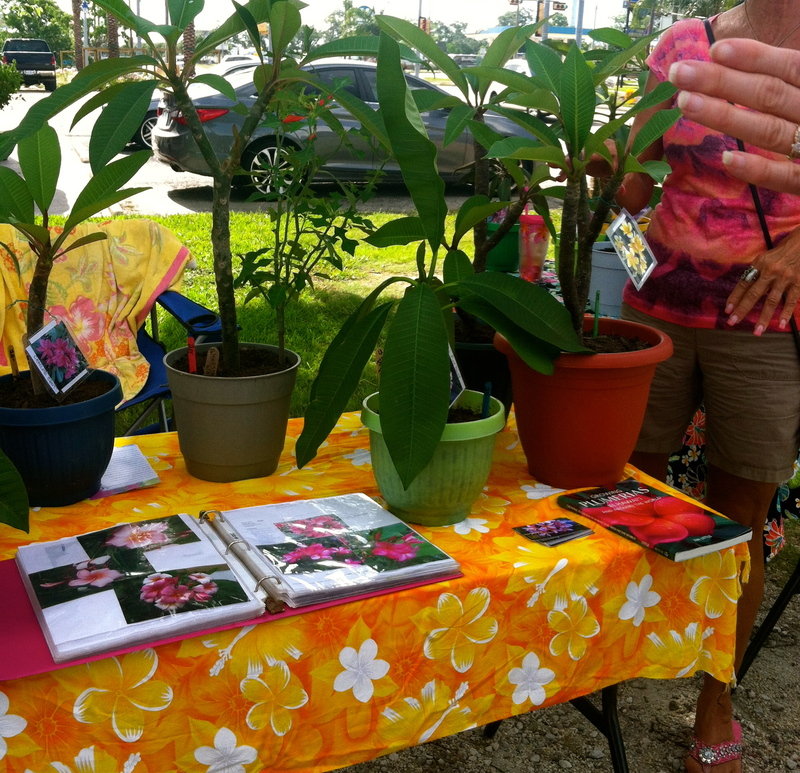 She had all types of little Plumeria trees. They were so pretty and smelled so wonderfully that my mom had to buy one for our backyard. They are so beautiful they almost look fake! What do you think? After loading the tree into the car, it was on to the next market…after hydrating of course! It was ridiculously hot, even for being in a sundress and sandals! 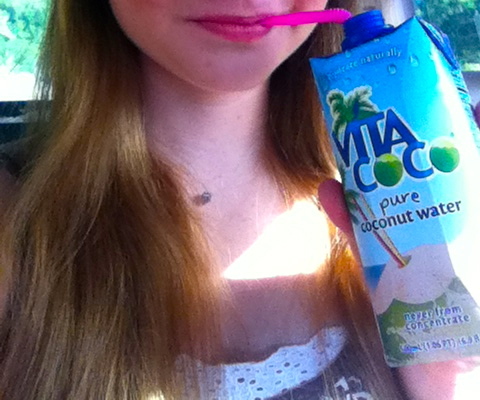 I really love Vita Coco’s Coconut Water. It is a refreshing way to get re-hydrated while also obtaining natural energy from the coconut’s natural sweetness. The second market, like I mentioned before, was my favorite. They had tons of produce and starter plants for gardening. My dad bought two Pepperoncini Pepper Plants for our garden back at home. We love those little peppers. 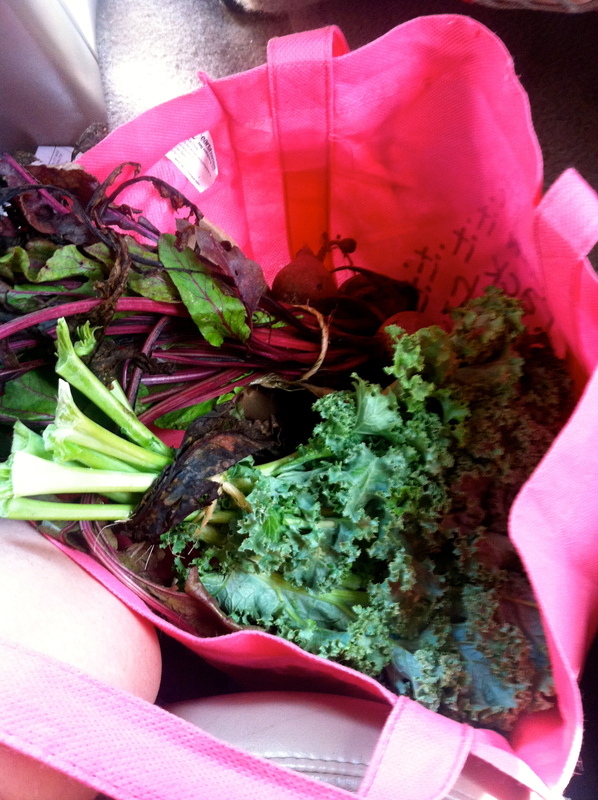 At this market I also got a dozen fresh eggs, a head of kale, and some beets. 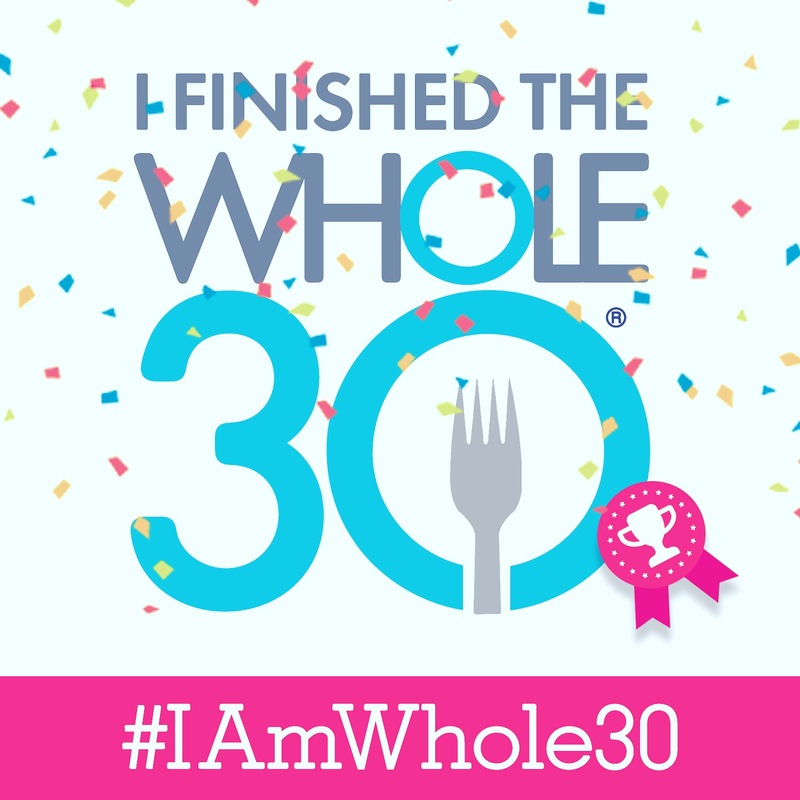 All-in-all, it was a very good start to my morning and I was excited about all of the fresh and local produce I now had! 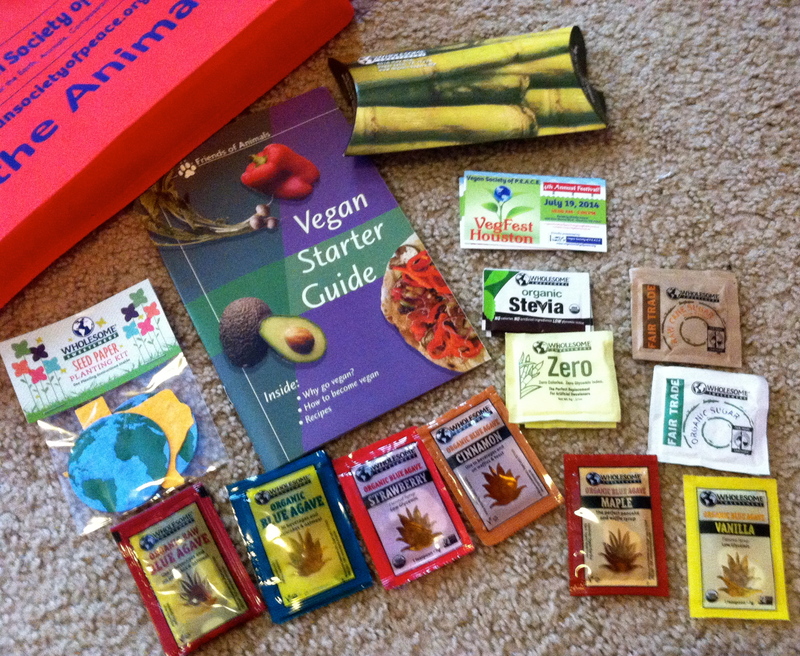 I cannot wait to try out those products, though, and test out some of the vegan tips and tricks from the booklet! I will let you know how the Cinnamon Agave Nectar is, do not worry!